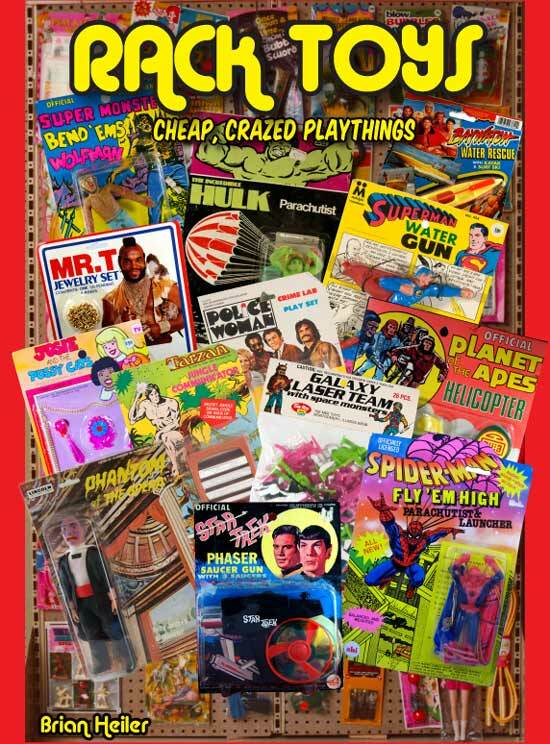 Famous for their rack toys and inflatable items, Azrak Hamway is probably best known these days for scooping Mego on the Universal Monsters license (Mego VP Neil Kublan once cited that he recalled that Universal wanted more money than Mego was prepared to offer ) and creating their own line of 8" Monsters that were more than obviously influenced by the look and design of the Mego World's Greatest Superheroes. The line ran from 1974 until 1976 and Azrak Hamway changed the figures an amazing number of times which resulted in many variations, Some collectors liken the figures to snow flakes as there are often no two alike. AHI monsters are cheap and often times quite crude but they are revered by Monster Collectors world wide and are considered one of the best in terms of embodiment of the classic Universal characters. 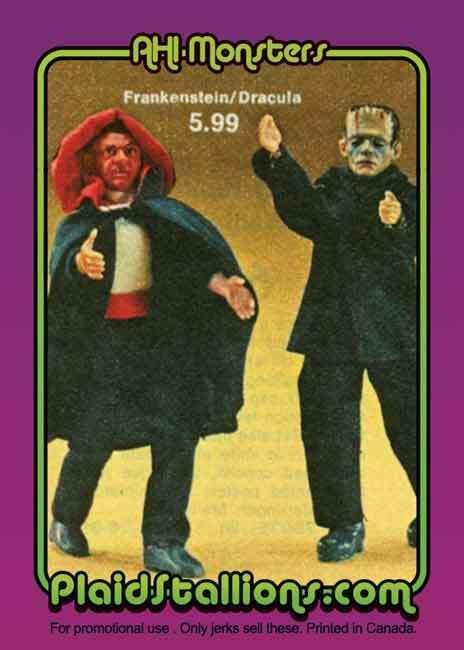 In the late 1970's Remco/AHI would revisit the Monster license once again you can find more info on that at the Remco Monster Gallery . These wonderful pencil toppers/erasers have popped up once or twice and they are clearly based on the AHI heads, thanks to Shannon for the pic, I am extremely envious of these. If you have some for sale Email me!. Hey Wait, these aren't the ones I had as a kid! 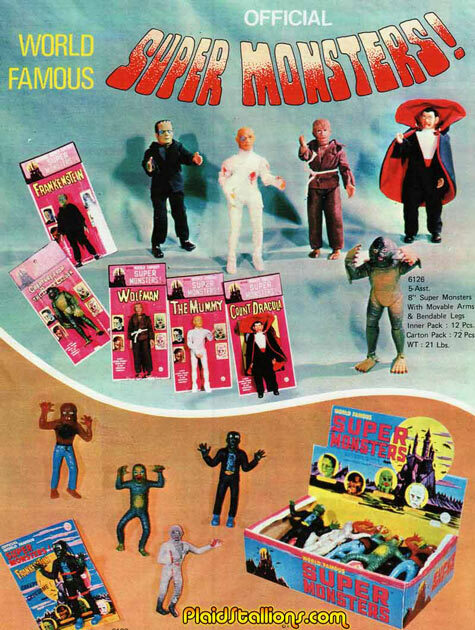 Lincoln International made a series of 8" Monster figures very similiar to these. In 1980 Remco (which was division of AHI) produced a wonderful series of 9" Monsters check out our Remco Monster Gallery for more information. 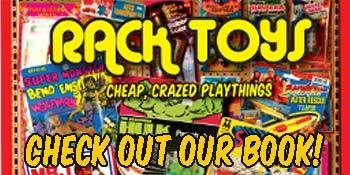 Our book "Rack Toys: Cheap, Crazed Playthings" is a love letter to toys produced by AHI. 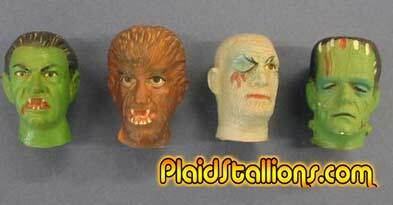 © plaidstallions 2011. All rights reserved.